Describing how a tour at Ardbeg is is like asking "what's that rollercoaster like"? The coaster is always there and there are some variations between the days and who operates the ride. Like a rollercoaster making whisky is a process of repetition. The same goes for tours. If I write it down like that than it sounds all wrong, but all process based quality driven processes allow for very small tolerances in order to get the quality needed and expected. The variable in a tour is the person giving the tour and the persons on the tour. What are the backgrounds of these people and how does the interaction influence the outcome. What I'm trying to say is that these are my experiences and when (not if) you are visiting the experience will be different for you! One of the variables is me and this variable had let his battery of his phone go dead just at the beginning of the tour!! Nooooo!! Luckily I brought a camera and so did my fiend. Tip: check your batteries. 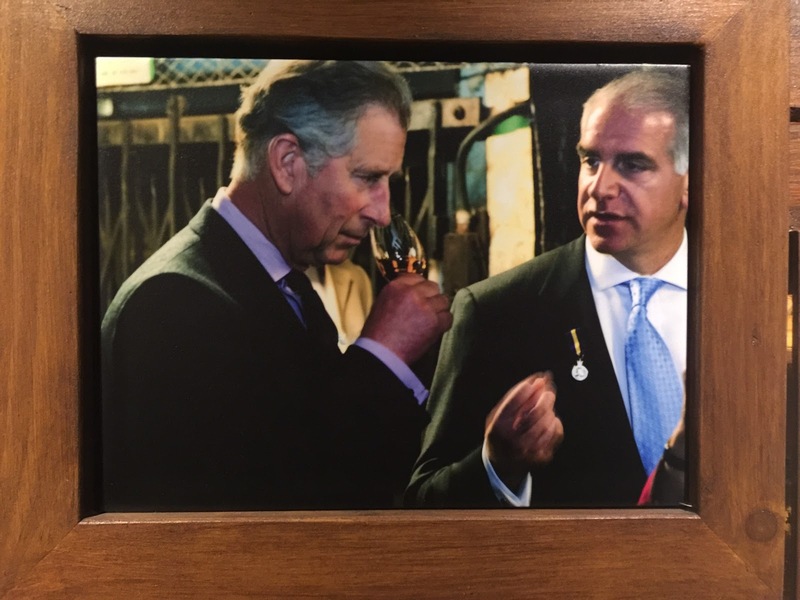 Why had I chosen the "deconstructing the dram" tour. 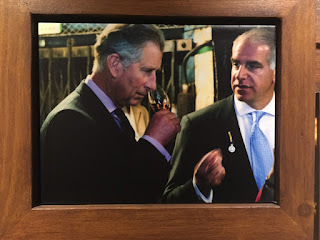 I have been trying to figure out by tasting, reading, studying where flavour components in a dram come from. How are these flavours what they are? 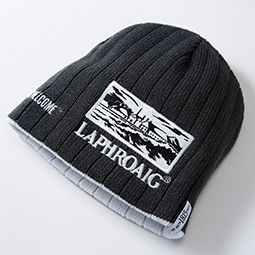 The tour, that would give me some of the information i wanted out of my trip to Islay, was this one. The tour started off with a sit-down in a reception kind of area. 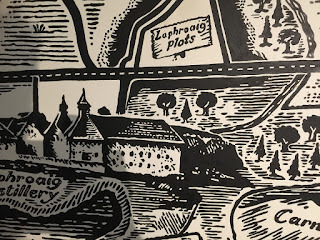 General background about Ardbeg was given but also information about components in a dram and how they translate to a smell/flavour. It was explained that Ardbeg is able to breakdown a dram into component parts using mass-spectrography. 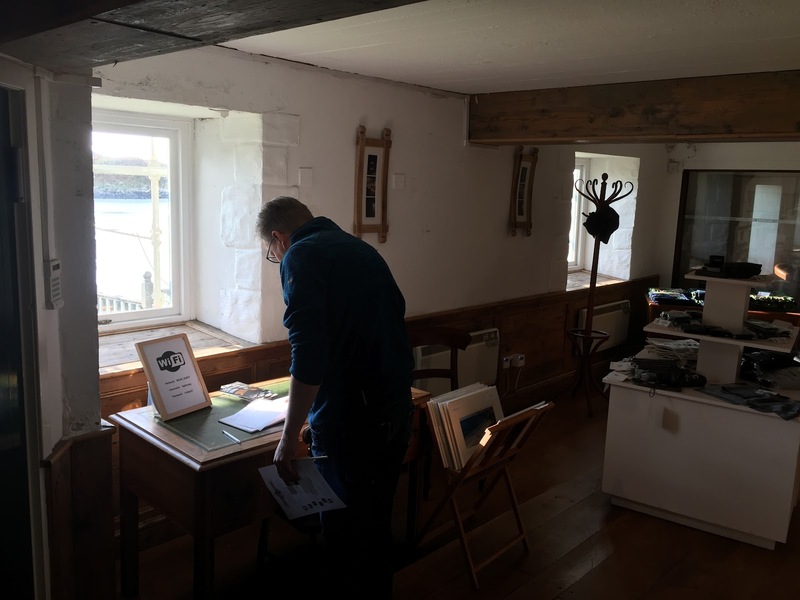 The tour goes to at the mill where the barley is milled. Details are given about the amount of barley, the stages of milling and the final composition of the solids in the mash. 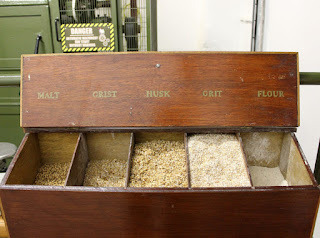 I had always thought that only the fine "flour" would go into the mash, but apparently the mixture is a combination of different stages of milling from grist to flour. We tasted and smelled the un-milled barley. I have saved some for later to take my time to really taste. Dionne, our tour-guide, explained the process in detail. How a fixed amount of milled barley is sifted and weighed in order to get the right mixture of components. I really need to think hard how this worked again, but I will probably remember when watching the photos. Everything gets recorded. Not only for internal process efficiency calculations (alcohol per ton barley ratio) but also for legal purposes. Tax and stuff. So Dionne made us remember the amount of tons of barley that went in the mill for future reference. Naturally I can't remember! Lol! It's not really that important. What I take with me is that the "mash-bill" of Ardbeg is different compared to the "mash-bill" of, for instance, Bruichladdich. This mash-bill works for Ardbeg! This is the unique beginning of their process. Just like a mash-bill at a bourbon would contain fixed amounts of corn, Ardbeg milled their barley to a combination that works for them. The milled barley is transported to the next stage of the process. Mashing at Ardbeg takes place in a large covered stainless steel vat. The milled barley is mixed with different temperature waters at different points in time. This is to extract as much barley sugars and other congeners as one can. (At the Bruichladdich distillery i learned they used different temperatures and heating times). I stuck my face in and withdrew it immediately. This steam is HOT! The water is from Islay. It is collected form the Uigeadall and another lake. This explained one of the names of the core expressions of Ardbeg. The product of this process is moved to a free wash back, where the yeast can do it's thing. We were allowed to "smell" different stages of this process by putting out arms in the wash back and spooning the air. The smell sticks to your arm and this can be smelled better than just sticking your head in the wash back. It felt weird, but it worked. It smelled fruity, peaty and malty. It also had a beer-like smell to it in a way. It's great to experience this and let your nose do its job. I spooned the wash back as often as I could in an attempt to get as much smell in my brain as I could. Unfortunately you cannot bottle this. You have to be there. The wash backs are steam cleaned after use in preparation for the next batch. Next Dionne asked of we would like to taste the wash. Are you kidding? YES!! It tasted like a fruity beer. I hinted on banana on the nose. This taste I tried as often as I was able too. Keep it in my mouth for as long as I could. Closing my eyes. Fruity, banana. The other taste must be malted barley and yeast as main components. What else could it be! Loved this experience! Dionne did a alcohol gravity measurement and together with the numbers collected at the milling she was able to calculate the alcohol to barley ratio. I will have to look that one up again and describe it better. It made sense. Behind the point of the door we were not allowed to photograph the stills. So we all photographed before going thru the door. The explanation was safety related. Just like a gas station you don't want to be blown up by alcohol vapours igniting. The process was explained. The distilled liquid before the first cut is made is collected for re-use. We were waiting for the operator to make the first cut. He did. We applauded! It felt nice! The feints are also collected and redistilled at the next run. I wont give much detail here about the distillation process. The general principle is well documented. The one thing that makes the process unique for Ardbeg is a junction downwards in the beginning of the line arm that feeds back the heaviest alcohols into the still. What surprised me is that there is no difference in this process for any of the Ardbeg expressions. All are produced in the same way. Only the casks make the difference between the final products. I did not expect that, but this entire process up to this point is a constant. This I find particularly interesting because it means that the flavour differences between Ardbeg expressions only can be explained by the casks and the time spend in the casks. The produce of this process is transported to the area where the casks are filled. Not all casks are matured at the Ardbeg location, but a lot of them are and Ardbeg was working on expanding the local capacity. On to the warehouse tasting for the next part of this blog. The drive from Lagavulin to Ardbeg is a short one. You could walk it, or take the bicycle. Parking on the most excellent car park I have seen yet on Islay puts you right next to the distillery. Where the car park used to be is now a large area which is covered with the Ardbeg logo. Its big enough to be spotted by the international space station crew! Beautiful! Out of this world is one of the phrases one can label the Ardbeg distillery with. At least that's what I think. Due to weird time zone agenda stuff we had come in an our early. We thought we had a half hour for lunch, but after some confusion we discovered we had an hour. The confusion began as I told the lady behind the counter that we were in for the 13:00 "Deconstructing the Dram" tour. The lady looked at us a tad odd. I told her my name. She wrote it down, because I wasn't in the list. She went to talk to a colleague and the colleague came back. She asked if I had come for the 13:00 tour? Yes I did. There is no 13:00 tour sir. I was starting to get a bad feeling. The tour was full sir! .... after a bit she walked to the counter , checked the tour book waved me over. Is this your name sir? I looked! Yes it is! The smile returned in the lady's face and it was all sorted. Only then did I find out that 14:00 CET had shifted to 13:00 UK time due to the time zone difference. We were an hour early. So after a hearty excellent lunch we went outside for some photos. We walked past the parking area around the buildings and went to check out the sea. Tried to get an angle to shoot the sign but couldn't. We located the spot we needed, below the cliff. The angle just wasn't right. Lets climb the cliff. So we did. The angle can only get better if you are on the peer during the tour or on a boat. The angle from on top of the cliff is pretty amazing too and not many people make the effort. My friend had spotted a palm tree standing around which would be excellent for getting a feel for this trips nature. The diversity is like nothing I have seen yet on any other place I have been to. The closest is a combination of the south and north island of New Zealand. Next we went down the cliff on the other side. Found an engine block, a table, a hammer, stuff you find that came ashore and lots of loose rocks and seaweed. Excellent views of the sea. So close to the distillery but yet so far away. If you do this by yourself and get hurt, no one will hear you scream. That's another tip when on Islay outside the trotted tracks, don't go alone, don't! So we strolled some more, found all kinds of flowers and excellent nature. We needed coffee. So we went back to the cafe. After coffee we spend a while outside talking to guys that were sitting outside. One of them was from the USA, San Something above LA. 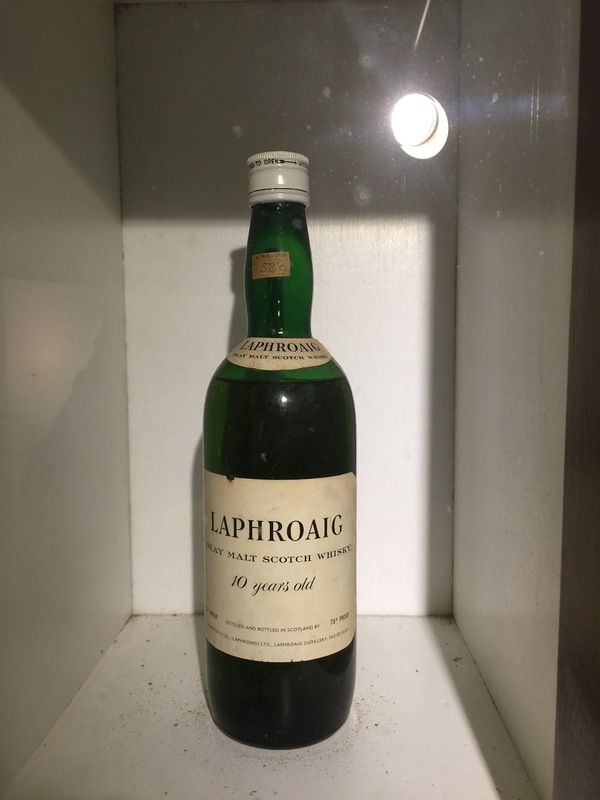 He had slept in a small tent on top op a cliff overlooking the Laphroaig distillery. He and his tent were almost blown of during the night becaus it does get a tad windy up there it seems. We were discussing the USA presidential election, housing prices, forrest fires and why he was packing all that crapp in his backpack. I mean the dude had Brie, Chedder, Bread, Tomatos, "fresh" fish, butter, salt, pepper etc etc with him. I figured he was like the male version of a friggin Hermione Granger. After discussing life, the universe and everything we figured the answer would be 42 and this meant we needed to get inside for the "Deconstruction of a Dram" Tour. We only did a short visit to Lagavulin Distillery. 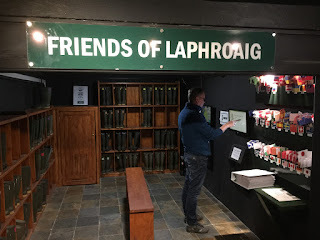 When we went from Laphroaig towards Ardbeg I was under the assumption that we would not have the time for a tour. We had not booked on either, but we popped in anyway. 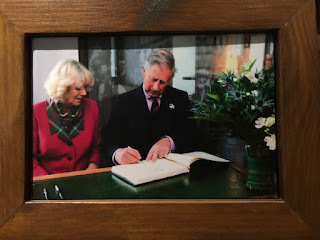 Note: later that day I found out that we could have had plenty of time if we had set the agenda on my phone to NOT shift the agenda by the one hour time difference we had had flying from Amsterdam to Glasgow. Se we parked and made some photo's of us in front of the Lagavulin sign. The sun was shining into the lens of the camera so the photo's are rather dark. Sorry! The shop is cute enough. Not as extensive as Bruichladdich, or Ardbeg or Laphroaig but it contains all one needs I suppose. Seeing that we had "only a short while we needed to get going to Ardbeg to grab some lunch and wait for our tour to begin. So next time we are there Lagavulin will be on the list for the extended tour. After getting back to the hotel, I managed to sorta work on a photo on my phone and I abused it into this photo below. I know, it looks horrible, but at least its light enough to make out my face! The road from Port Ellen to laphroaig is along the coast. You could do it on foot. There is a walk/bicycle track next to the road that is excellent if you want to walk the distance between the three distilleries. Ones parked at laphroaig we went to the visitor centre. Some of the buildings were in scaffolding. Probably for maintenance. Naturally we would have a selfie with the laphroaig letters on the backdrop. 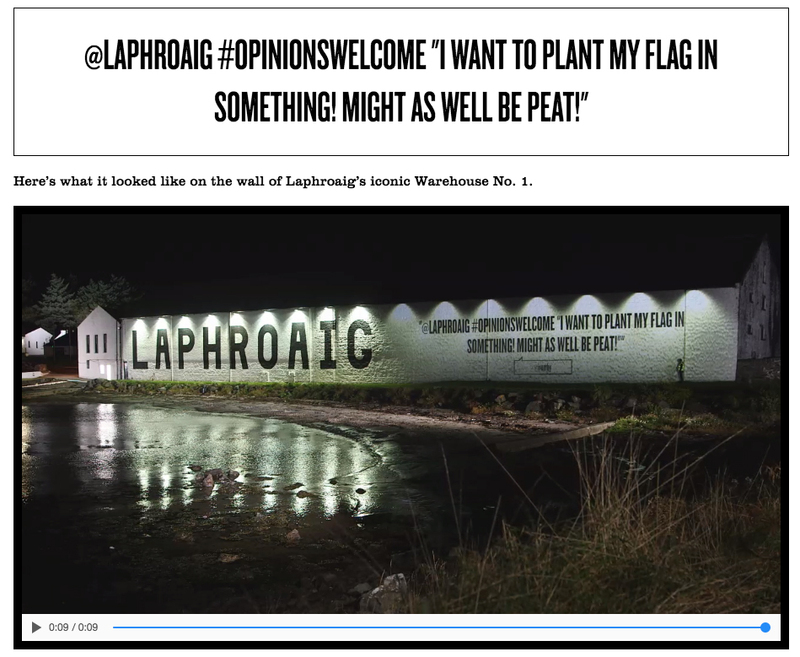 Laphroaig had two tents set up across from the warehouse to project and broadcast opinions of customers during the dark hours of the day. I had mine broadcast some days before. This is what I had send in via twitter. 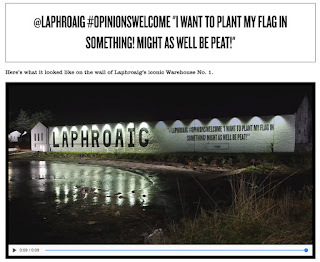 @Laphroaig #opinionswelcome "I want to plant my flag in something! Might as well be Peat!" The video is not working!! The lady behind the counter explained how and where I could print my square foot plot certificate. So we did. I am a stubborn laddie so I refrained from putting on the wellies. I had my flag, I had my plot. Now all I needed was the gps gismo. The batteries were dead, so after the kind lady put in new batteries we were good to go. No more words for now. Let the videos do the talking. What the video is showing is that the field where on can plant the flag is rather .... soggie, muddie, peaty.... one should really wear wellingtons. In the video I am explaining how the location where I planted my flag "really" is the spot shown on the GPS. It isn't, but I am saying it is ..
After completing the task of planting the Flag we went back to the Distillery for some light shopping. My friend indicating how he fits the sofa .. Planted the Flag "on" my plot. In front of the entrance to the visitor center. One's back at the shop we got ourselves some beany hats!